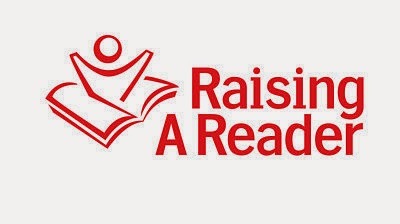 How Do I Raise a Reader? Reading is essential to a child’s education. Its importance in academics is unavoidable but in order for kids to be good at reading, it’s important that they love doing it as well. One of the best ways to instill a lot of reading in your child is to make reading commonplace at home. Many parents tend to associate this activity with bedtime with reading or sharing a book just as kids are tucked into bed. However, not every kid has the attention or the energy to remain engaged just before they go to sleep. Our recommendation that in addition to bedtime reading, it can be beneficial to introduce reading as an activity at other times of the day as well. Whether your child is not particularly receptive to nighttime reading or whether they are, testing other times in the day may still be great for reading. In order to raise a reader, it is necessary to make reading rituals commonplace. Even if reading at night works for some kids, that does not mean that they can’t learn to love reading at different times of the day as well. Reading in the morning may be the best bet for some children, especially kids who wake up early and are generally more energetic upon waking up. This may be the best time for these kids to really engage in a story or even just look at the pictures in a book. Kids who have not yet started school or kids who perhaps only go to class on a half-day schedule may be more inclined to read in the afternoon. Try to engage them during the mealtime as lunchtime entertainment. You can even adjust the reading to a particular time of day in a more spontaneous way as well. If you notice that your child is particularly active or is actively looking for something to do, suggest reading. If they don’t initially seem inclined, you can encourage them by reading along with them or affirming that even looking through the pictures will be a fun activity. Engaging with books on a physical level will help instill a personal relationship with the activity, even if kids are just looking or listening. For more helpful tips on raising a reader and getting kids to love reading check back often here or subscribe to our blog where we offer loads of resources for parents. To get kids engaged even more with reading why not personalize their stories! Visit us at www.KDNovelties.com. Please No Fast Food Mom!